Takuma Sato leads Jack Hawksworth through a turn during the Verizon IndyCar Series Honda Indy 200 at Mid-Ohio Sports Car Course on Aug. 3, 2014 in Lexington, Ohio. Just because A.J. Foyt turns 80 in January, don’t expect the IndyCar legend to slow down. In fact, he may just be warming up. Foyt expanded his Verizon IndyCar Series team to two drivers on Wednesday with the official announcement that 23-year-old Jack Hawksworth would join the team. Takuma Sato of Japan will return to Foyt’s operation for a third season in 2015. 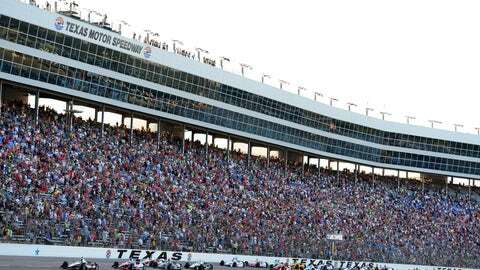 In addition, the team’s home base will remain in Waller, TX., but Foyt has also purchased another race shop just a few blocks from the Indianapolis Motor Speedway. Hawksworth is from Bradford, England and teams up with the American racing legend as the driver of the ABC Supply Dallara/Honda No. 41. This past season, Hawksworth drove for team owner Bryan Herta and had a fairly successful rookie season. He qualified in the top six in three of his first six races and posted his best finish of the year – third – in the second race of the Houston doubleheader. Sato, who won two pole positions in 2014, is ecstatic about the expansion to a two-car car team. 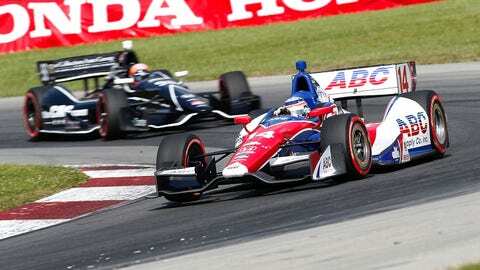 "It is absolutely fantastic news that AJ Foyt Racing is expanding to a two-car team,” said Sato. “I really feel positive about it and welcome Jack in joining us. I am thrilled to continue racing in IndyCar for a sixth season and being with the same team for the third straight year. The continuity of working with my engineer, Don Halliday, and the same crew gives us a strong momentum in learning and more confidence overall. Team Director Larry Foyt promoted Raul Prados, who for the past three years worked with Halliday, to chief engineer on the 41 car after Prados’ successful debut in that role at Indianapolis in May. "It’s hard to express in words how thrilling it is to be expanding our operation,” Larry Foyt said. “It has been a goal of mine for years, and to finally see it become reality … all I can say is that it has already been a special and busy offseason. I can’t give enough gratitude to ABC Supply for their continued support of the ABC Supply/AJ Foyt Racing program. How quickly 10 years goes by. There have been many ups and downs, but they have stuck with us and helped us grow into a team that will be a force to be reckoned with next year. “It’s great having the continuity of Takuma Sato and Don Halliday working together for another year. We know Takuma can win on any given weekend in the 14 car; I’m looking forward to putting what we’ve learned together the last couple of years to good use. As well, having who I feel is a future superstar – Jack Hawksworth – join the team gives me twice the reasons to be excited. I appreciate the commitment he is making to the team by moving to Texas, and I think the combination of him and young engineer Raul Prados will produce some stellar results. ABC Supply extended its sponsorship agreement with the team through 2016.